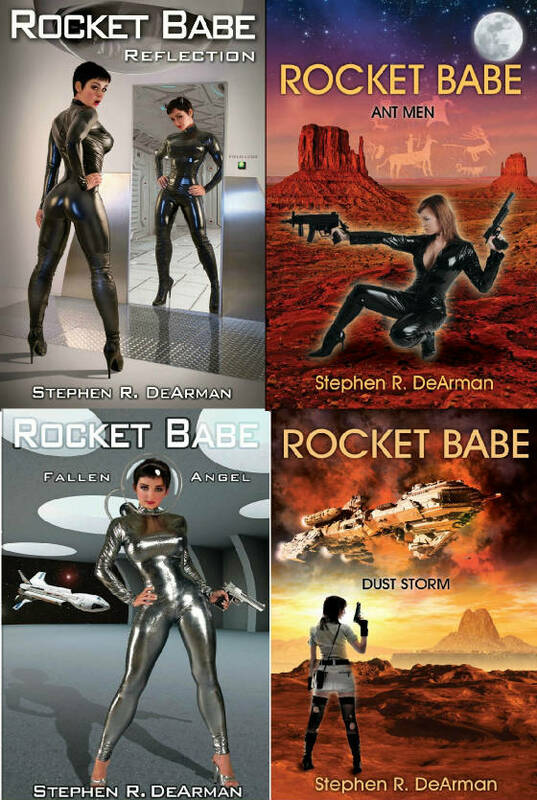 If you got here by way of Amazon, want to order a book or just stay up to date on our book series, Rocket Babe Like us at: https://www.facebook.com/RocketBabeDustStorm to stay in the loop! Get them all on Kindle or Paperback today! 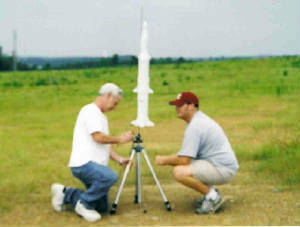 If you are really into rocketry, take 10 minutes to view this site. You'll find some very interesting reading, many great photos and maybe even some things you never imagined. While you're here be sure and visit our special feature pages, Verna's Photo of The Month and Fire & Smoke! Updates are posted on or about the 1st day of each month. We have been flying since 1968 and are currently members of two Alabama NAR Sections, S.E.A.R.S. 572 in Dothan and Birmingham Rocket Boys 665. Verna and I really enjoy modifying the rockets we build. Kit bashing, staging and clustering are what we enjoy the most. Here you will find information and photos about our latest projects featuring several versions of the Estes Saturn V, clustered and staged. The majority of what we build and fly are rockets that you will only see here and you will find that Rocket Babe and Bad Girl, are unique variations of the Estes Saturn V.
On the following pages you will also find variations of other rockets like a reproduction of the X-71 Shuttle from the movie ARMAGEDDON, as a 3 engine cluster. This was achieved by mounting 2 Estes Yankees directly on to a Columbia Shuttle. We have recently completed a collosal kit bash of 3 Estes Load Stars into one very large payloader, nick named Dorothy. When you see it you'll understand why. Standing 32.5" x 7.5" this one is a wide body, 2 stage, triple bay payloader boosting on a 3 to 3 engine C6 cluster. That's 6 engines total! 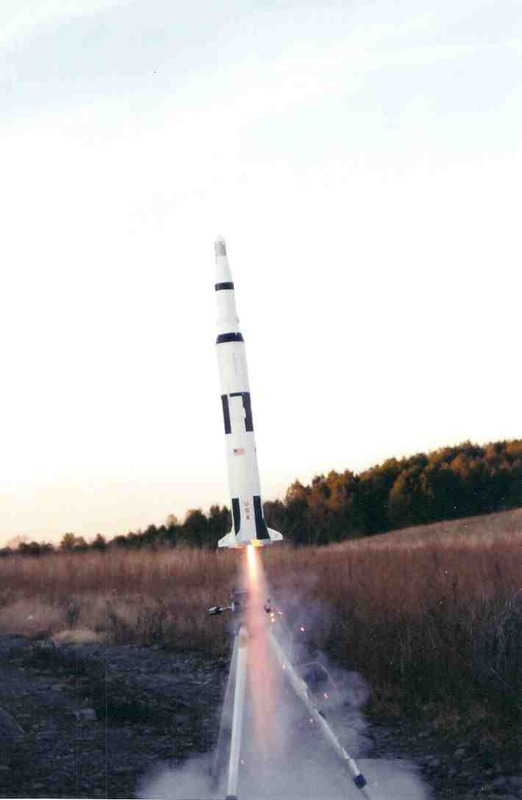 The photo on the right is our first Saturn V. This photo was taken at dusk as we launched flight #11 on a single D12-3. about to launch another one.